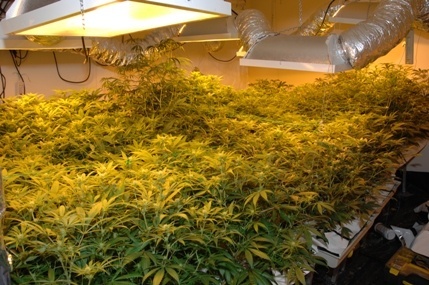 Has your tenant turned your property into a cannabis farm? This type of damage is becoming increasingly common, as it goes un-detected for long periods of time and comes as such a shock when finally discovered by landlords. Cannabis farms can cause substantial damage to the whole of your property and often requires a lot of work to restore. Your property may be very dirty and smelly due to the fertilizer and intensive farming. Your electrics and circuits will more than likely have been tampered with (in order to bypass your mains supply) and you may also find large holes in ceilings and walls used for ventilation. Getting your property restored can seem a very daunting task, but don’t worry we can help. We will take care of everything and will meet with your insurer and their Loss Adjuster at the property – so that you don’t need to go back into your property until it has been fully cleaned and restored. Our first priority is to make your property safe, so our qualified electricians will check all electrics to ensure they are safe and all debris left behind will be removed by registered waste carriers. We can also help with other criminal damage such as broken windows and doors, vandalism and arson. If you’re making a water damage claim for damage to your flooring, it’s important to use a specialist contractor such as IC Assist. This is because it is vital that the sub floor is completely dried before laying any new flooring and underlay. We have specialist drying equipment on hand to monitor and measure the moisture levels within the sub floor and dry the sub floor. We always ensure that the surface is adequately dried before any work begins. 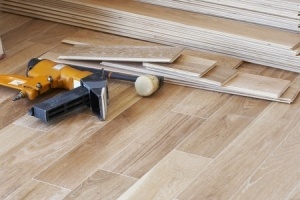 We will also ensure that all flooring is replaced on a like for like basis, so you can be assured that you will get the same quality flooring (providing this is in line with the terms of your insurance policy). 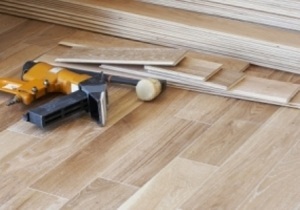 We will also try to match the colour of your existing flooring as closely as possible. Please visit our building services page for our full range of services. If you have accidental damage cover, you should be covered for those one off unintentional and unexpected incidents that cause damage to your property. The most common accidental damage claims we have dealt with have been as a result of water damage. Usually due to someone accidentally leaving a tap on or a bath overflowing. But we have also dealt with damaged ceilings as a result of someone accidentally putting their foot through it whilst in the loft! 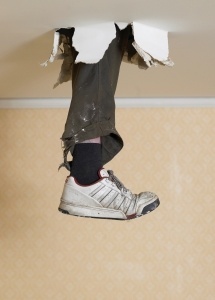 Accidental damage to properties can also occur whilst doing some DIY, such as hammering a nail into a pipe.